In this latest release, we further refine your ability to add different link-based content areas to your elements. 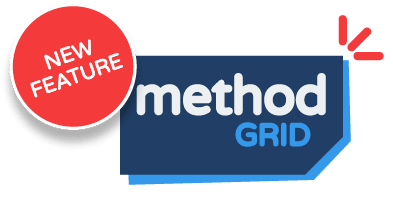 (3) To other Method Grid elements. The example element below illustrates each of these content areas. You will notice that cloud document links pull through the relevant platform icon alongside the link title you assign. For web links, the page’s favicon (the icon that you see in your browser tab for the web page) is pulled through to your element – and displayed alongside the link title you assign. 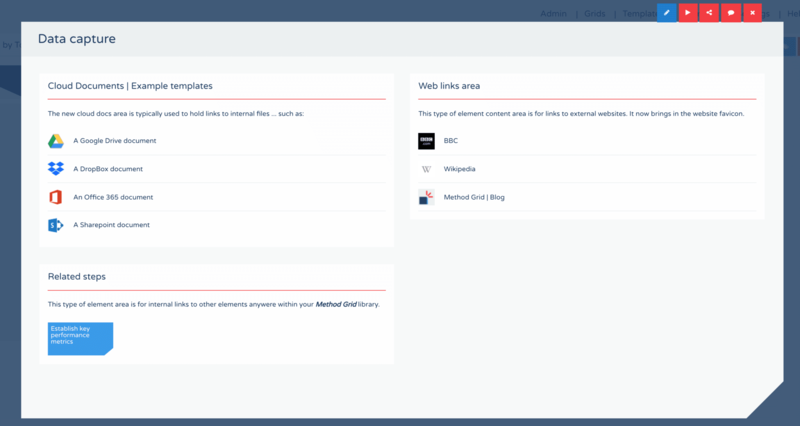 Please note that the previous link content area type (that could capture a mix of all types of these links) will be retained but, with this new release, you will now be able to specify the specific link type – allowing for richer user display. Next up, we are working on the architects members panel to allow for easier member addition, and member management, for larger teams.